France has reportedly welcomed the first gay refugee from Chechnya this week, coinciding with a visit from Russian President Vladimir Putin. The refugee’s arrival was confirmed by French gay rights group SOS Homophobie and they said more men may follow, The Local and FranceInfo reported. At least 100 men have reportedly been detained and violently tortured “in connection with their non-traditional sexual orientation, or suspicion of such” in secret prisons in Chechnya, with twenty-six men reportedly dead. During Putin’s visit, French President Emanuelle Macron also urged the Russian leader to protect LGBTI people in Chechnya from prosecution. 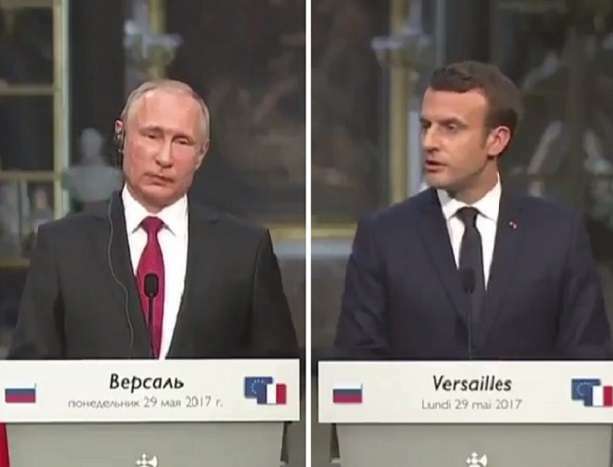 “I emphasized to President Putin…how important it is for France to respect all people, all minorities,” Macron said at a joint press conference with Putin, translated by CNN. “We spoke about the cases of LGBT people in Chechnya… I told President Putin what France is expecting regarding this issue, and we agreed to regularly check on this subject. Meanwhile, Chechen leader Ramzan Kadyrov has continued to deny the brutal campaign in his region. “Do not accuse the Russian media of slander and at this time be guided by false information,” he wrote online, according to a translation by the Associated Press. But a damning report released by Human Rights Watch last week recounts in detail the horrific treatment experienced by the men caught up in the “anti-gay purge” by Chechen authorities.